Home » Offbeat » Loch Ness Monster Finally Found? Loch Ness Monster Finally Found? The mystery of the Loch Ness Monster has been troubling mankind for quite a long time. Does it really exist? Why only a few evidences of it? If it does, is it dangerous? For those of you wondering what on earth is a ‘Loch Ness’, well it is monster said to be living in in Loch Ness lake, rarely photographed, but never captured or found by any government agencies. Looks like Loch Ness Monster theory might finally be explained. At a 2001 event in Edinburgh, Scotland, put on by the Geological Societies of America and London, Italian scientist Luigi Piccardi informally argued that Loch Ness sightings could be blamed on geologic activity around the lake, which is located on the Great Glen fault in the north of Scotland. He postulated that earthquakes could have sent the water sloshing, as though a monster were seething underneath. 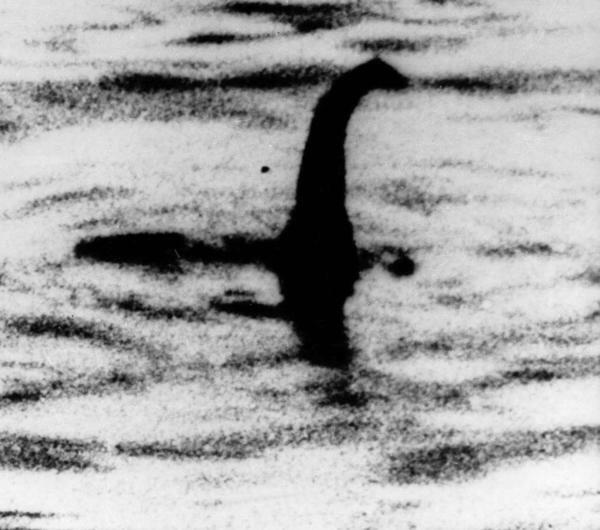 Piccardi’s theory was repeated recently in an interview he gave to the Italian newspaper La Repubblica and has since gone viral: “Loch Ness Monster Mystery Explained,” reported Fox News. Earthquakes in the Loch Ness area are usually magnitude 3 or 4 – not strong enough to send the lake water shivering, the Scientific American reports. Larger quakes have been recorded in 1816, 1888, 1890 and 1901. But those dates don’t correlate to periods of high frequency monster sightings, like 1933, when “Nessie” sightings were all the rage after the Spicer couple had such an intriguing trip to the lake. And so Piccardi’s hypothesis joins a growing crop of not quite satisfying scientific theories, some more credible than others, purporting to explain what Loch Ness visitors saw – or think they saw. For example, that Nessie is actually an eel or a sea otter; that its sighting correlate to patterns in the water that birds make when they take flight; that floating, dead pine tree logs have been mistaken for a serpent; and etc. But beyond it’s scientific inaccuracy, what Piccardi’s theory lacks is something that most of those theories lack: the role of the human imagination and its spectacular, almost boundless ability to pull together fragments of information collected from the world into a meaningful, believable narrative. “People don’t want an explanation that it’s just in their head. They want a geological explanation. But that geological explanation is also just in your head,” says Brian Cronk, chair of the psychology department at Missouri Western State University. Were it accurate, Piccardi’s geologic explanation could cover what might have caused the circumstances that suggested a monster gurgling underwater. But its science does not explain what caused the viewer to see in that jiggling lake an enormous, mythical sea creature. That leap might be due to what is called “availability heuristics,” says professor Cronk. That means that the human brain will, intelligently, look for the most available solution to explain a problem. And when a visitor has gone to Loch Ness Lake and is well aware of the fables of its depths, the monster is the most available solution to explain sudden waves in the water. And once a lake visitor believes they’ve seen the monster – and had a supremely exciting vacation – it will be difficult to convince them otherwise, given what is known as the “confirmation bias,” essentially a kind of selective hearing that tunes out evidence that imperils our existing theories. Applied Behavioral Studies & Counseling at Oklahoma City University, in an email interview. We might also want to believe because, well, we want to: a world full of not-quite-explainable monsters is more entertaining than one without it. “Many people believe weird things because they have a need to be entertained – and it’s far more entertaining to believe in the extraordinary than the mundane,” says professor Farha. Iran vs. US, What is Going On ? 11 Facts About Tsarnaev Brothers That Makes Us Wonder, "Really? ".